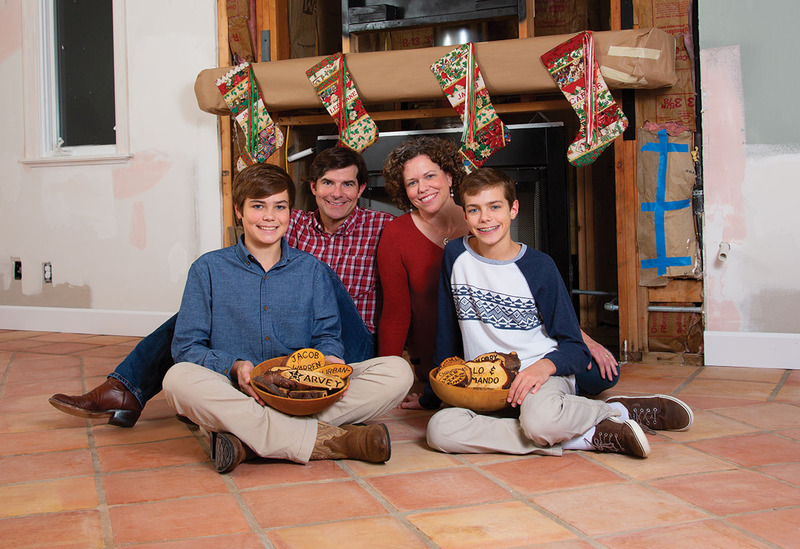 When Pamela and Hayne Blakely had their daughter, Alane, 31 years ago, something in addition to their baby was born: a homemade holiday tradition. 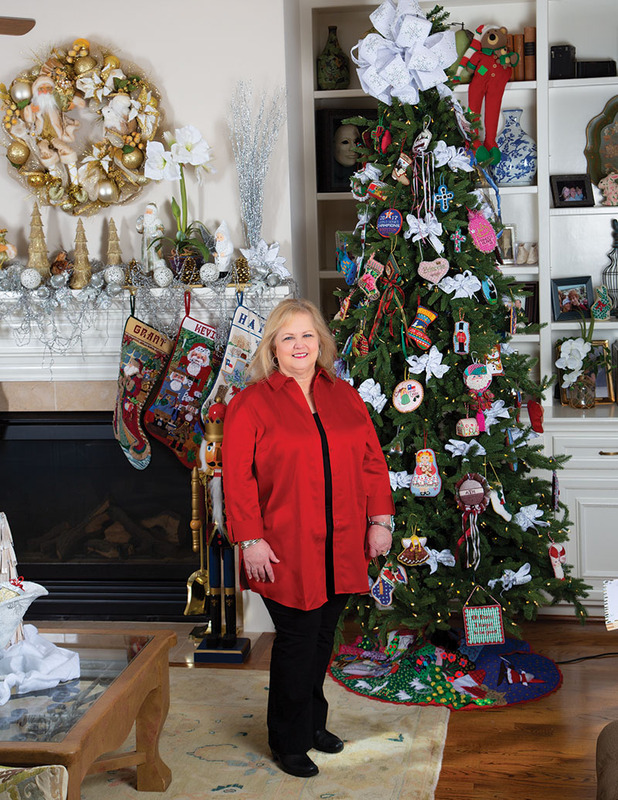 Before Alane’s birth, the couple celebrated and decorated for Christmas with items they bought from stores. But it was a gift from a friend during her pregnancy that got Pamela firmly immersed in a tradition that has become a hallmark of their holidays. Back in 1987, Pamela was placed on bedrest in their West University Place home during her high-risk pregnancy. Confined to bed with a lot of time on her hands, she was gifted a goodie basket from her neighbor, Cindy Thorp. 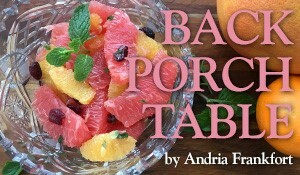 “Cindy put in bon bons and some trash novels, things to keep me occupied,” recalls the bubbly and energetic Pamela. 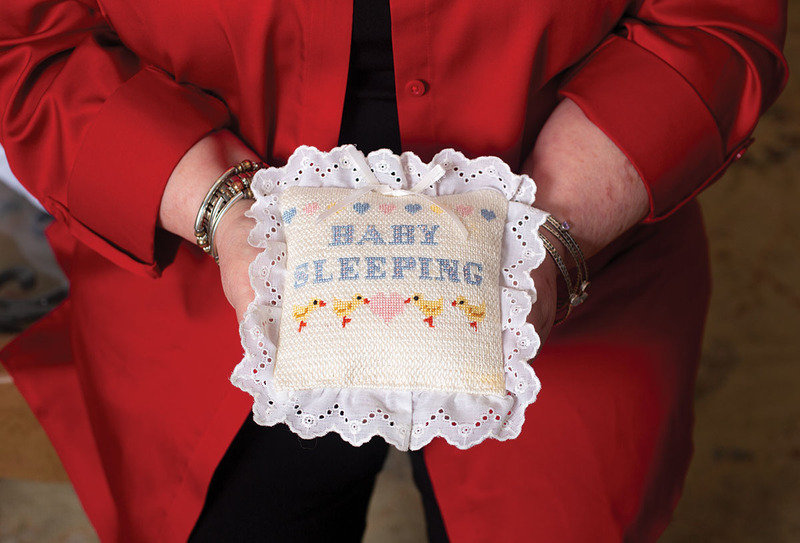 “And she also had a little piece of needlepoint in there.” Pamela, a certified public accountant, had never stitched needlepoint, but the small square with the words “Baby Sleeping” beckoned. 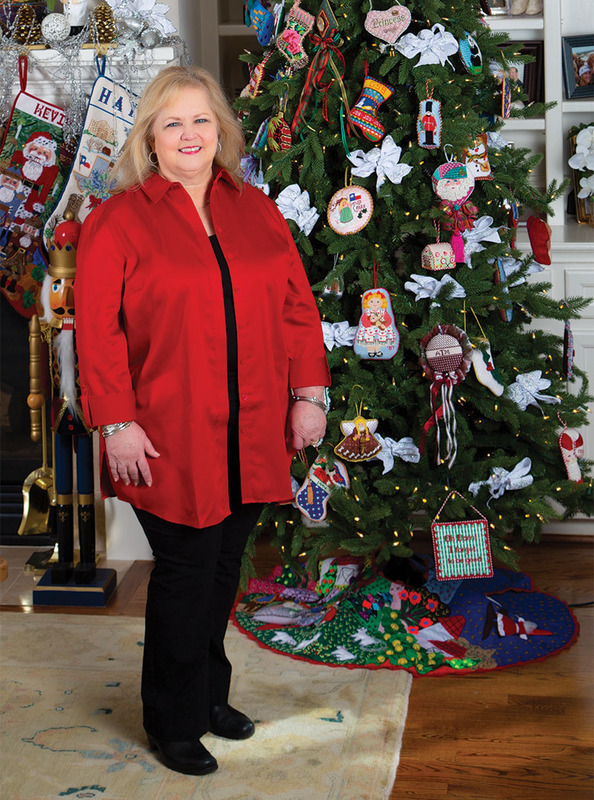 In fact, Pamela has stitched so many ornaments that she has a dedicated Needlepoint Christmas tree in their family room. Even that does not hold all the ornaments, so Pamela has taken to decorating the dining room chandelier with them. 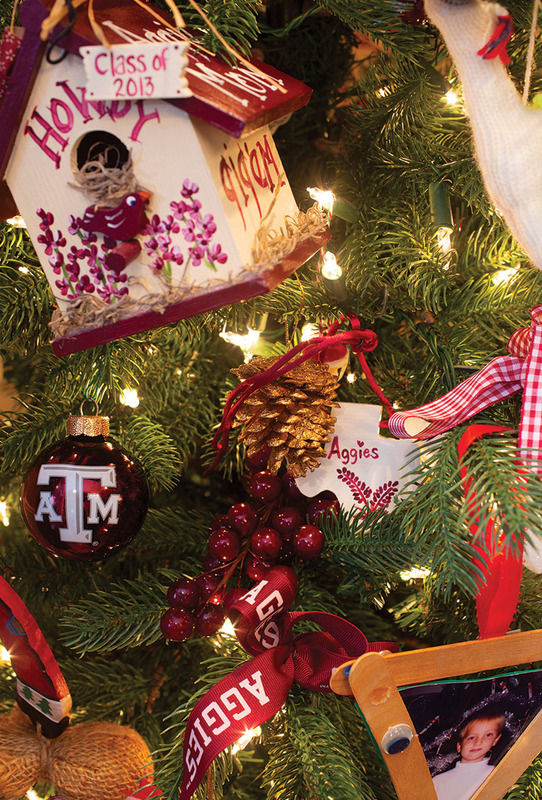 The Blakelys have a Christmas tree with glass ornaments in their living room and, in a nod to where both Alane and Grant attended, a Texas A&M Christmas tree in their dining room. But the needlepoint items take center stage. One Nativity is placed on the dining room sideboard, while another rests on the living room coffee table. The needlepoint Santas stand sentry all over the house, their stitching so creative, they look three-dimensional. And, this year, Pamela has more traditions to begin, this time for granddaughter Avery. 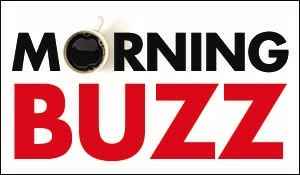 “Alane and her husband, Kevin Avila, had their first child on August 30,” says Pamela. “I am already starting on her Christmas stocking and ornament. It’s very special to me.” And as for that first “Baby Sleeping” door hanger? Pamela has sent it over to hang on baby Avery’s door. 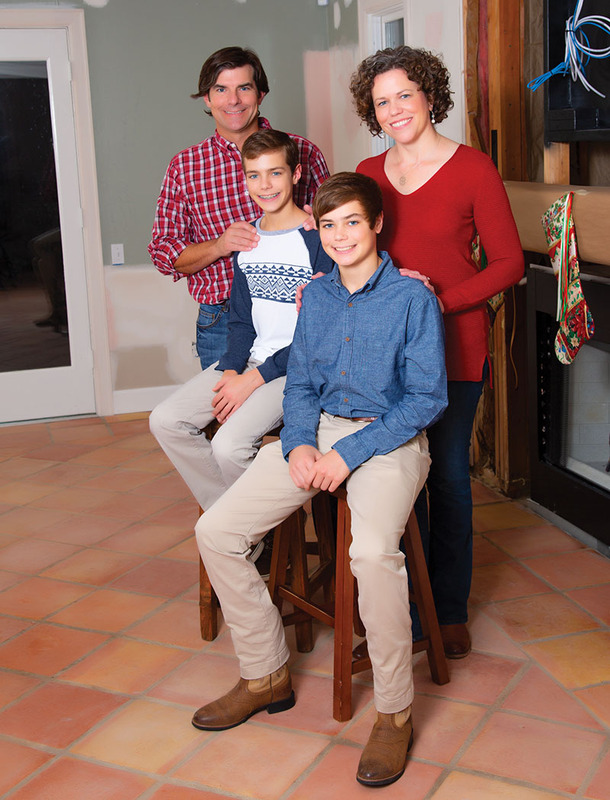 Another family who celebrates the holiday season with a special, homemade tradition are Lee Anne and Jason Dixon, who live in Bellaire with sons Jacob and Carter, who both attend Episcopal High School. 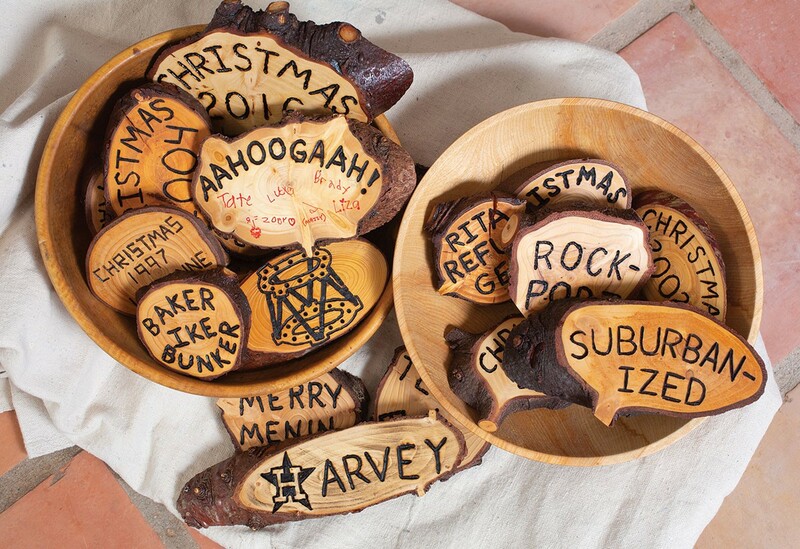 Every year since they got married in 1997, Lee Anne and Jason have crafted a unique memento from their Christmas tree: a personalized slice of the tree trunk that they cut, cure and emblazon with words that epitomize their year. The couple decided to not turn their Christmas tree slice into an ornament, but instead a treasured keepsake to display every year. “We thought it would be neat to do and have 50 of them one day,” says Lee Anne, noting that they have 21 so far, which they proudly display in two large wooden bowls every holiday season. In the two-plus decades since that first holiday disk was created, Lee Anne and Jason have fine-tuned the process, which starts with picking out a tree that will not only look pretty for their decorations but also boasts a trunk the correct width for Jason to cut. Using equal parts sentiment and humor, the Dixons’ disks are a treasure trove of family memories. “We try to write what stands out as truly unique,” says Lee Anne. “We usually have something profound that makes sense. On one side we will write the word ‘Christmas’ and the year and then the message on the other side.” Over the years the messages have been sweet, funny or sometimes tongue-in-cheek. “One year Carter had meningitis, so we wrote ‘MERRY MENINGITIS,’” says Lee Anne. “Another year Jason had knee surgery, so he drew a picture of the knee halo brace that he had to wear for months.” One year was dedicated to close friends and neighbors the Fitzpatricks (Ryan Fitzpatrick is a former Houston Texans quarterback who moved to quarterback the New York Jets – and, later, Tampa Bay), with the tree slice saying “MERRY FITZMAS.” Jason sent the disk to New York, where the Fitzpatrick family signed the disk and mailed it back. And, then, there are the hurricanes, with these inscriptions branded into the wood: “RITA REFUGEES,” “BAKER IKE BUNKER” and “HARVEY,” whose “H” has a Houston Astros star surrounding it, reflecting 2017, when their Bellaire home flooded. 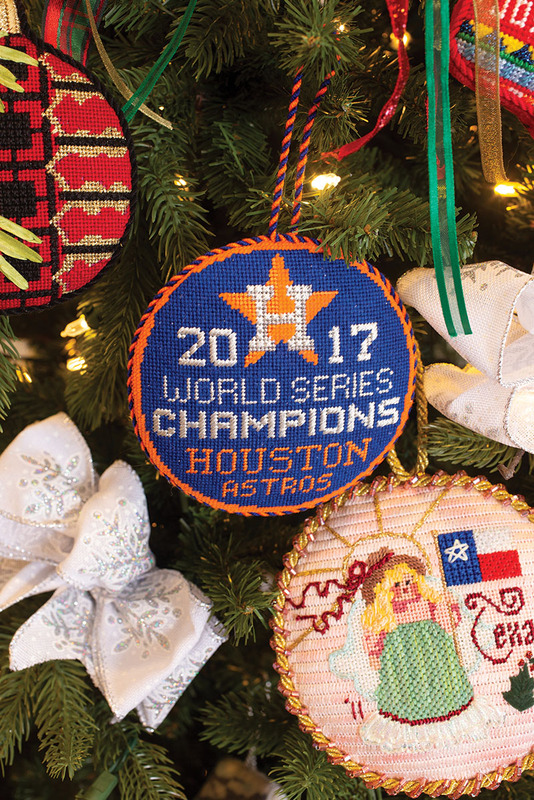 “Watching the Astros was the only thing that kept us semi-happy the first six weeks after Harvey,” says Lee Anne.